The beach is ideal for family and kids. This state beach provides ideal conditions for swimming, surfing, scuba diving, kayaking, windsurfing, fishing, and beach combing. Fish off the jetties near Tamarack beach and campgrounds. The Carlsbad Seawall, a paved 4-mile walking path along the coast, extends from Carlsbad Village Drive to Cannon south, where you can walk, jog, cycle or roller- blade. 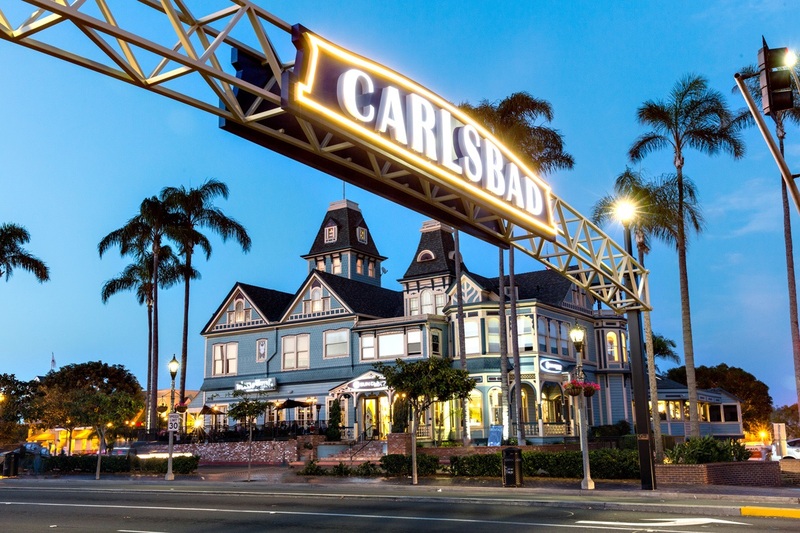 Many dining and shopping opportunities in the Village of Carlsbad and many folks come from all over the county just to spend the day. Carlsbad is a large community that extends from the coast to inland east of I-5. There has been a lot of development in Carlsbad over the past couple of decades and offers many housing opportunities. Population is approximately 110,972. Average income is approximately $84,095. Average price of detached home is approximately $1,431,931.